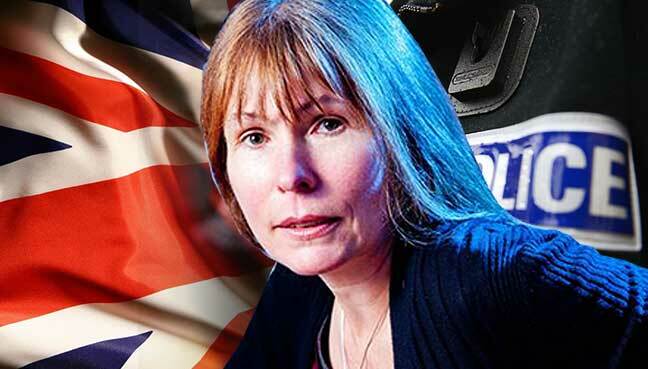 Former Sarawak Tribune editor Lester Melanyi claimed today that the Sarawak Report news portal founder Clare Rewcastle-Brown was receiving funding from very powerful people in Malaysia. “She keeps talking about money that people say went into the Prime Minister’s account, but never talks about the money she receives. “Why? If Clare is such a believer in transparency, she should provide the Sarawak Report accounts and show us where her funding comes from. “But she can’t do this because if she did, we would find out who her real boss is,” he said in a statement today. Melanyi also said it was strange that a British woman keeps talking about Malaysia. Speaking to UK-based Sky TV on Sunday, Brown had said the RM2.6 billion went into Datuk Seri Najib Abdul Razak’s personal bank accounts two years ago shortly before the 2013 general election. Brown, who also attended the Bersih 4 gathering in London had said that nobody in Malaysia, including Najib’s allies, knew of the money and he had been unable to deny it. In an immediate response, Minister of Communications and Multimedia, Datuk Seri Dr Salleh Said Keruak said Brown has distorted truth about issues in Malaysia and had once again tried to portray herself as the crusader for truth and justice. “In fact, it is alleged that some of the evidence had been tampered or doctored. We know that this ‘evidence’ could not have dropped from the sky… so how did she manage to get it?” Salleh queried in his latest blog post. He said, as a veteran journalist, Brown should have stuck to the basic principle of law that one is innocent until and unless proven guilty. “Brown takes money and in exchange attacks our government. This is different to what Brown was like when she first set up Sarawak Report. “Back then, she had her own independent agenda. This is why I liked her. But over time, she got into relationships with powerful people, and Sarawak Report became a business for her. Money is now more important to Brown than the truth. “Documents were fabricated and doctored for money. I know because I was asked to do this,” said Melanyi. He said it was disgusting but what is more disgusting is those people who get foreigners to do their dirty work. In some countries, he said, it would be treason. “But here, the people doing this are cheered on the streets by the DAP led protesters. I am sad to see our country reduced to this,” he added. So it would appear that people would only do the things that they are paid for ..
Agree, people would only do the thing they are paid for, be it in Malaysia ke America or UK. some are silly enough to do it for nothing. Rakyats should stop dreaming of the utopia where politicians are good. Don’t be naïve. All politicians take ‘donations’ of one form or another but Najib’s donation is simply too HUGE, mind blowing, unbelievable, worlds record, exceed ALL of Obama’s US Presidential election where 300,000,000 live. Syabas, that is the right thing to do funding Clare Rawcastle Brown to clean up Malaysian Government. Please don’t go round expecting ‘foreigners’ to fund Ms Brown to solve OUR massive problems.